Springfield, Mass. 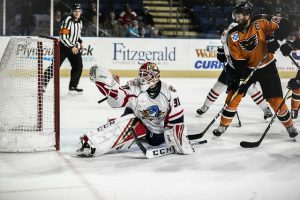 – The Springfield Thunderbirds broke a 1-1 deadlock with a pair of goals early in the third period and then barely hung on for a 3-2 victory over the Lehigh Valley Phantoms on Saturday night at Mass Mutual Center. T.J. Brennan registered a goal, an assist, and a fight, to record his first Gordie Howe Hat Trick as a Phantom. Brennan (6th) and Greg Carey (9th) scored for Lehigh Valley while goaltender Carter Hart made 24 saves. 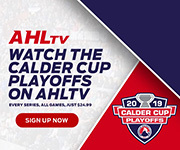 But Thunderbirds netminder Michael Hutchinson was on top of his game in a 29-save performance that included several sharp denials the best of which was a diving glove save in the third period to rob Misha Vorobyev in the left circle on the power play. Brennan’s goal was his 154th all-time in the American Hockey League pulling the veteran blue-liner to within 12 goals of John Slaney’s record of 166 goals by a defenseman. 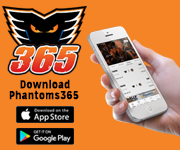 Greg Carey’s goal was his 68th since joining the Phantoms moving him into a tie with Danick Martel for the most ever on the Lehigh Valley team. 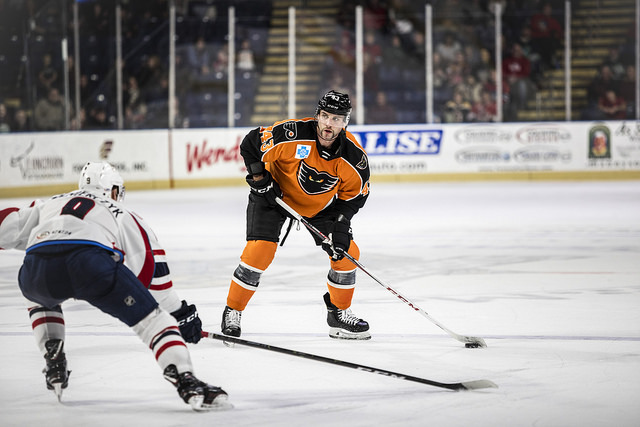 Lehigh Valley (9-5-2) took just its second loss in the last six games while Springfield (9-4-2) evened the season series between the two Atlantic Division rivals at two wins apiece. The game began with several big hits and physical altercations. 6:47 into the contest, Brennan dropped the gloves with 32-year-old Michael Haley who led the NHL in penalty minutes last year with the Florida Panthers. Haley is with Springfield on a conditioning stint. 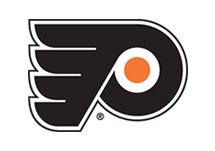 The scrap followed some contact in the crease in which T-Birds captain Paul Thompson landed on top of Carter Hart knocking off the helmet of the Phantoms rookie goalie in the process. A few seconds later, Haley gave a punch to the face of Hart that drew the ire of Brennan who stepped right in for his teammate. 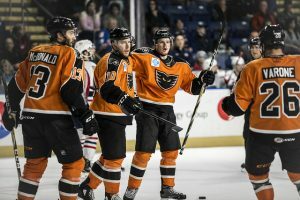 Later in the first period, Brennan picked off a clearing try on the left boards and offered a quick shot to the net that missed the glove on the right hand of Hutchinson to give the Phantoms a 1-0 lead. But Springfield quickly tied the game 33 seconds later on Joel Lowry’s power-play point-shot through traffic that eluded Hart. That marked the end of the Phantoms lengthy penalty-kill streak at 28 consecutive power plays denied. 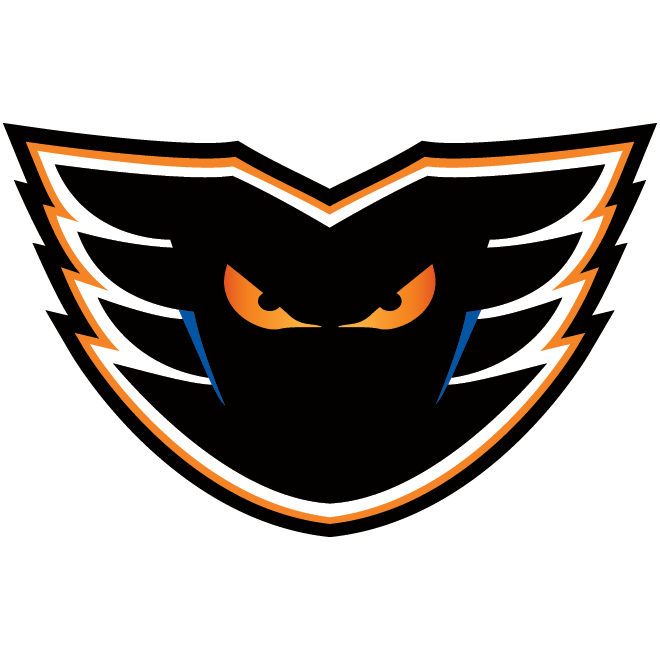 It was the first power-play goal the Phantoms had allowed since October 27. Springfield broke the tie early in the third period with consecutive goals by Jake Horton down low at 2:21 into the final frame followed by Michael Haley flipping in a rebound of a close-range Henrik Borgstrom slapshot at 3:58. The Phantoms cut the deficit down to one with just 3:40 left on Carey’s blast from the right circle on a cross-ice feed by Varone that was also assisted by Brennan. 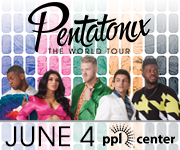 But Lehigh Valley could not find the equalizer in what would have been the team’s fourth multi-goal comeback of the season and potentially would have been their second in a row. 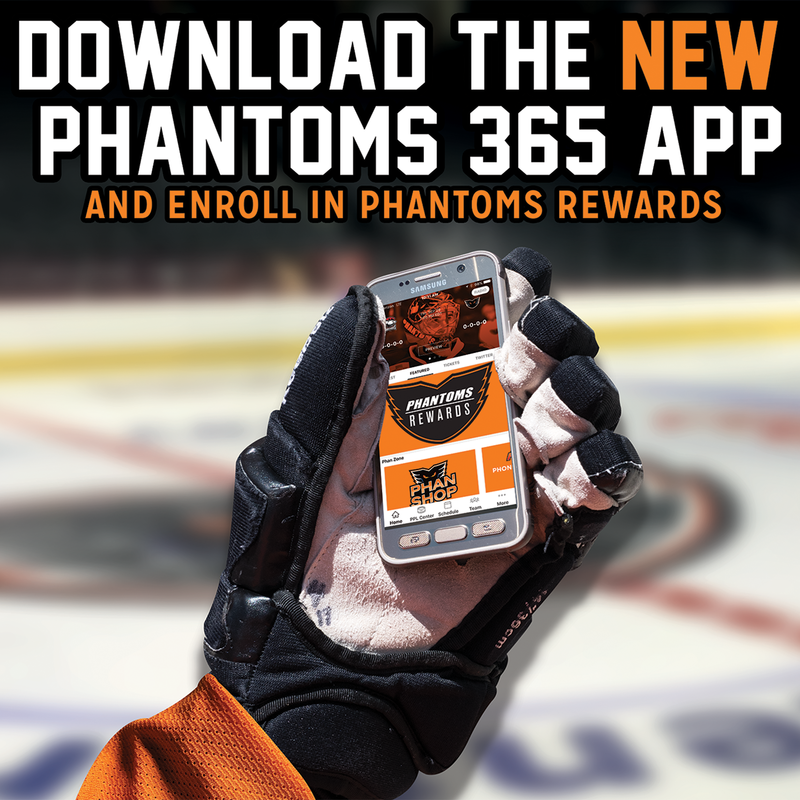 The Phantoms voercame a 4-1 deficit at Providence on Friday night for a 5-4 win. The Phantoms are off until Thanksgiving weekend when they return to PPL Center with a pair of home games against Hershey on Black Friday on Rock Night including a T-Shirt giveaway and then Providence on Saturday featuring postgame autographs with the Phantoms players. 1st Period-1, Lehigh Valley, Brennan 6 15:04. 2, Springfield, Lowry 4 (Schemitsch, Thompson), 15:37 (PP). Penalties-Brennan Lv (fighting), 6:47; Haley Spr (roughing, fighting), 6:47; Hawryluk Spr (slashing), 10:26; served by Ang Spr (bench minor – too many men), 11:21; Vorobyev Lv (holding), 15:33. 2nd Period- No Scoring.Penalties-Conner Lv (high-sticking), 11:25. 3rd Period-3, Springfield, Horton 3 (McCoshen, Farnham), 2:21. 4, Springfield, Haley 1 (Borgstrom, Greco), 3:58. 5, Lehigh Valley, Carey 9 (Varone, Brennan), 16:20 (PP). Penalties-Vorobyev Lv (holding), 8:48; Byron Spr (slashing), 11:44; Hawryluk Spr (tripping), 15:10. 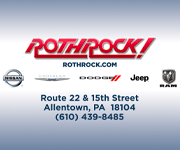 Shots on Goal-Lehigh Valley 11-9-11-31. Springfield 7-10-10-27. 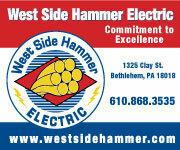 Power Play Opportunities-Lehigh Valley 1 / 5; Springfield 1 / 3. 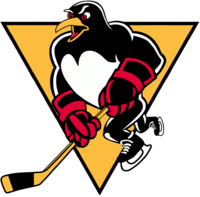 Goalies-Lehigh Valley, Hart 4-3-2 (27 shots-24 saves). Springfield, Hutchinson 1-2-1 (31 shots-29 saves). Referees-Beaudry Halkidis (48), Brandon Schrader (46). Linesmen-Brent Colby (7), Luke Galvin (2).